Indulge your senses with the decadence of this Rich & Creamy Milk Chocolate Bar made with Real Milk and Organic Cocoa Butter. Feel the smooth luscious chocolate slowly melt in your mouth. Treat your body and soul with healthy antioxidants and essential nutrients that Full Spectrum Hemp Oil provides. Hemp oil benefits may include boosting your immune system, increase relaxation and improve the overall quality of your life. Each bar has a dosage of 100 mg of Hemp Oil. 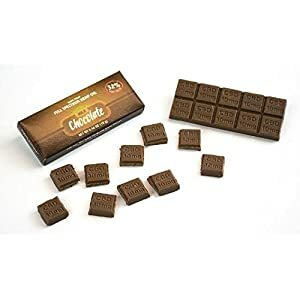 Enjoy the multitude of proven health benefits of Pure Cocoa – the anti-inflammatory antioxidants and flavanols may help your heart and other key bodily functions. Flavanols may protect your body against disease, improve your blood circulation and many other goodies.